DOUKÉNIE WINERY: Drink in the Scenery and Taste the Wines. Drink in the Scenery and Taste the Wines. 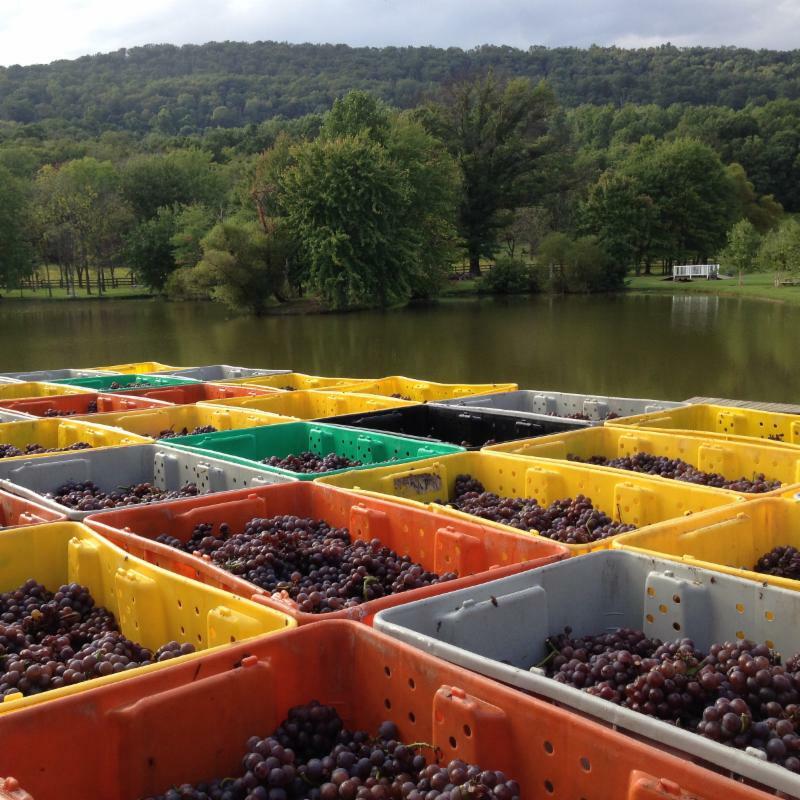 October is the perfect time to visit Doukénie Winery, a 412 acre farm winery in the foothills of the Blue Ridge, on the edge of Virginia DC’s wine country. The setting in Loudoun County is perfection, and there is a sense that fall is in the air with the leaves beginning to put on their seasonal colors. After you drink in the scenery, you’ll be ready to taste Doukénie’s award-winning wines. Owned by George and Nicki Bazaco, the winery is above all a family operation, and from the moment you step through the doors of the tasting room, you feel the hospitality of the family and staff. George’s mother, Hope, is the matriarch of the family, treating guests to her homemade Baklava. She may also offer a family story or two. What started out as a hobby for George in 1986, is today one of Virginia’s most visited wineries. The Bazacos trace their success back to George’s grandmother, a 14 year old Greek girl named Doukenie, who in 1919 boarded a boat for the journey to America. 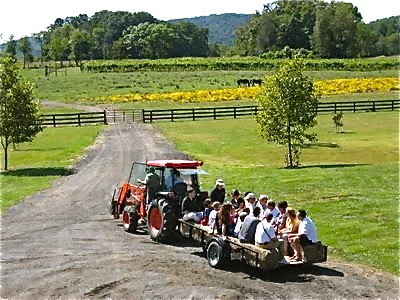 In 1981, George and his wife Nicki purchased the first track of land in Loudoun County that is now known as Doukénie Winery. The land at the foot of Short Hill Mountain was being farmed for corn, hay and cattle. In the mid-eighties, an exciting time in the viticulture business in Virginia, the Bazacos planted their first vineyard on the property. The winemaking business came later as the winery itself was constructed in 1995. Sébastien Marquet, Doukénie’s winemaker, who comes from Burgundy, France, has been making wine since he was 16. His knowledge allows him to combine his Burgundy techniques to the Bordeaux and Cotes du Rhones varietals. After leaving France, he was employed in Sonoma and Napa Valley. Today he finds himself in Virginia, where his challenge is to produce high quality and consistency, vintage after vintage. Doukénie has consistently taken awards in Virginia, US and international competitions, as well as high awards from Robert Parker of “Wine Advocate”. The long list of recognition is not only for Doukénie’s wines, but for their hospitality as well. 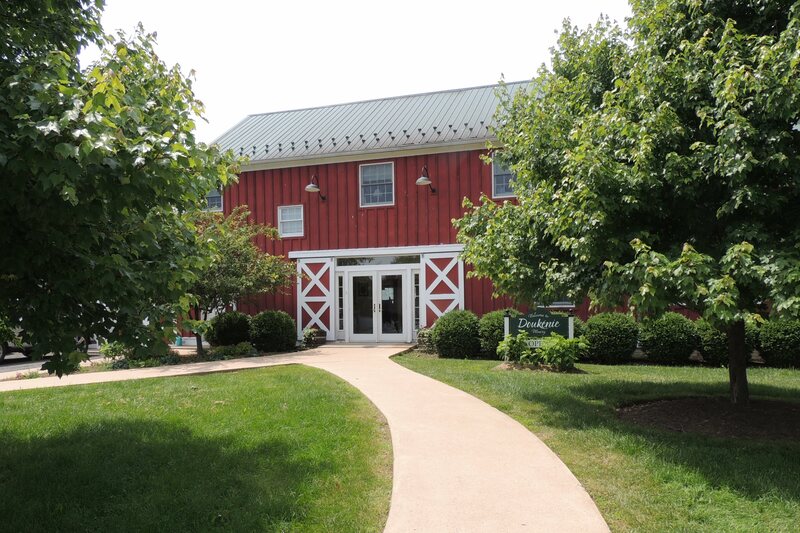 In 2013 and 2014, they received the Official Virginia Wine Lovers “Visitor’s Choice Awards” for Favorite Tasting Room, and will no doubt be a strong contender for the upcoming 2015 Awards which are chosen by winery visitors. On Saturday, October 24, the winery celebrates the most exciting and productive time of year with the annual Harvest Festival. It’s a barrel tasting event that includes BBQ from MONK’S, voted best food truck in DC, and the awesome sounds of Little Bit a Blues . . .a great way to join in recognizing Virginia Wine Month. Whether you visit Doukénie Winery for a wine tasting, a wine event, a tour or just to unwind, the Bazaco family and staff take pride in offering an exceptional and educational wine experience and are excited to share it with you. Directions: 1. In a 7- to 8-quart Dutch oven, heat oil and butter over medium heat. Add onion and cook, uncovered, about 10 minutes or until onions are tender and golden, stirring occasionally. 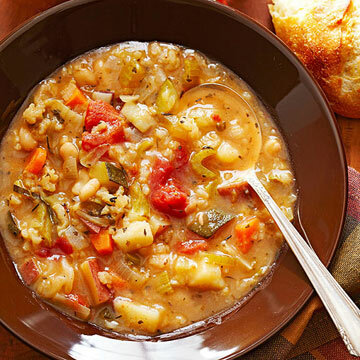 Add cabbage, potatoes, carrots, zucchini, green beans, navy beans, celery, basil and oregano. Cook, uncovered, for 6 minutes, stirring occasionally.